Photo courtesy of Boston College Athletic Communications. The Boston College Eagles (14-0) remained in the top spot in the IWLCA Division I Coaches Poll this week, sweeping all 25 first-place votes. Maryland (14-0) and Syracuse (13-2) remained entrenched in the second and third positions, while Notre Dame (11-2) and Northwestern (9-3) flip-flopped to round out the top five. Loyola (9-3) moved into the top ten this week after a solid 16-6 defeat of conference rival Navy (9-3), who dropped to the fourteenth position. There were no new teams entering this week’s poll and none of the teams moved up or down more than one position. This week features several Top-25 games, starting on Tuesday, when #19 Johns Hopkins hosts Stony Brook (#20). Navy (#14) visits #23 Georgetown and Loyola (#10) travels to #15 Princeton on Wednesday, while #2 Maryland makes the trip to Evanston on Thursday to face #5 Northwestern. The lone Top-25 game on Friday is between #18 Stanford and #22 Colorado. 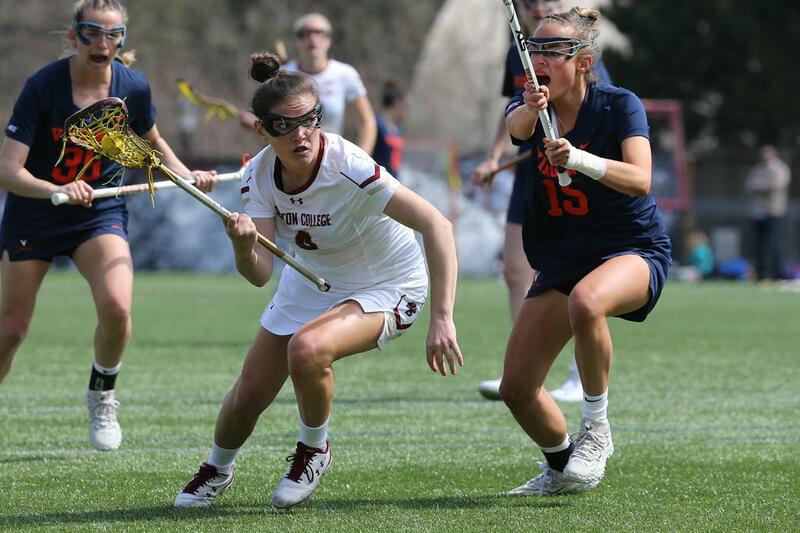 The weekend’s games include #3 Syracuse at #6 North Carolina, #24 Dartmouth at Penn (#9), top-ranked Boston College at #21 Virginia Tech, #4 Notre Dame at # 12 Duke, and #13 Southern California at #20 Stony Brook.